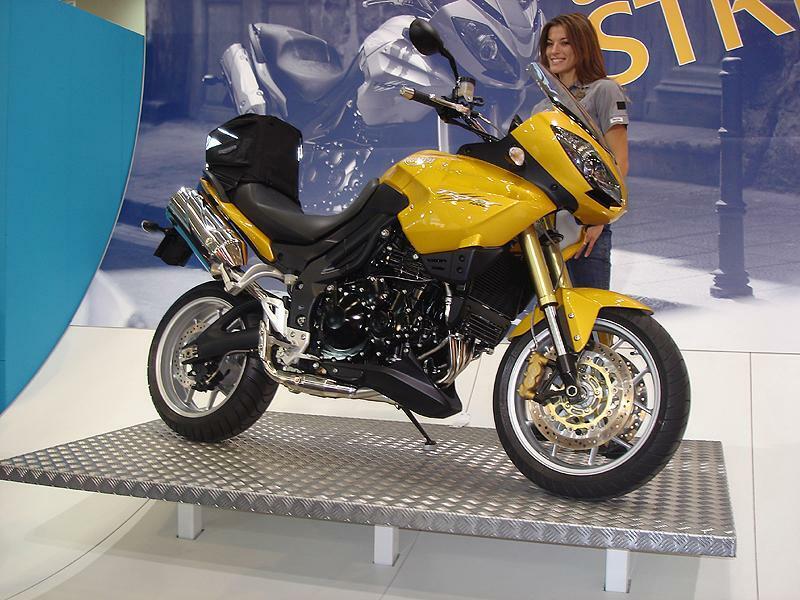 You've seen it MCN - we've even tested it already, but for most at the 2007 Intermot motorcycle show in Cologne, Germany this is the first time they've seen the totally different looking '07 Triumph Tiger. With the Tiger being the biggest alternation to the current 2006 range, Triumph went all out unveiling the model in all four colour options this afternoon. Click here for new bike news Also featuring on the Triumph stand was the new Speed Triple that has claimed improved perfrormance and mileage after developments with the exhaust and engine to accomodate for the new upcoming emmissions laws. Believe it or not but the 2007 Speed Triple can look even more brutal with the optional extra Arrow exhaust fitted, pictured here. Other models to get a slight makeover include the touring friendly Sprint coming with panniers as standard, and this retro looking Rocket III Classic.